Please Note: If you haven't been following the Naturally Sweet Sisters series on 'Disney and Diabetes' or are looking for more information, please click here for details on how to travel comfortably with the Mouse. A.) WHAT IS A WALT DISNEY WORLD GUEST ASSISTANCE CARD? B.) HOW DO I GET ONE? Well, today, I am not only going to explain what it is and how it works, but I am also going to show you EXACTLY what it looks like and how you can get one for your next vacation. PLEASE NOTE: This card is used exclusively for people that are living with type 1 diabetes (or other medical disabilities). If you do not have a medical disability, please do not try to obtain one. Using one when there is not a disability is considered fraud and Walt Disney World has every right to revoke your admittance. In 2013, it was reported in several newspapers that people were actively seeking to take advantage of the Guest Assistance Card, even when it was clear that they did not have a disability. It is shameful and disgraceful and reflect poorly on those of us that live with chronic conditions and truly need help. Please consider using the FAST PASS system, which a free service at all Walt Disney Parks whenever possible. Thank you! Before you go to the park, it is a good idea to do a little light reading. Walt Disney World offers several Guides for Guests with Disabilities. You can pick these up at any Guest Assistance Center, sometimes known as Guest Services in the Parks or in the City Hall located at the Magic Kingdom. Each brochure provides a park map which highlights accessibility to every ride and attraction. While all of our Type 1 Diabetes kids are mobile and do not require things like ramps or braille readers - in most cases - although some do!, they might need assistance with their Diabetic Alert Dog (DAD) and access to areas that offer companion restrooms. I still LOVE companion (also known as Family restrooms). Like my one mom friend shared, sending a young son into the men's restroom without an adult is NOT going to happen. Companion restrooms solve this problem. When the girls were little, I often used the time in the bathroom to administer an injection or perform an infusion site change just because it was easier to contain them and offered a little bit of privacy for a very sensitive 3 year-old. Not to mention that many offer in-room sinks for cleaning off sticky fingers for blood glucose tests. They are ideal restrooms! Another special feature that Walt Disney World offers is a Courtesy Wheelchair. The chair is free of charge and is available to and from the accessible parking lot and the nearest 'in-park' wheelchair rental location. Before you skip past this piece of information, if you feel like standing for your child in ANY line might be difficult on maintaining blood sugars, you might want to consider renting a wheelchair and then at the end of the day, using a free one to get your child safely back to the car. It is a long walk from the parking lot to the monorail or boat and then into the theme park. If you aren't in need of a wheelchair but still would like additional sitting room for your child, Walt Disney World also offers stroller rentals. These aren't like typical strollers. These are the hard molded plastic that can easily hold an up to 80-pound kid. A bonus is that it is a great place to store your Type 1 Diabetes supplies. Well, everything except insulin. In the hot Florida sun, insulin can easily be cooked, so never leave it on the stroller unattended. Read on for a perfect insulin storage solution. Besides highlighting special restrooms, it also gives you a perfect view of where things like the First Aid Pavilion is located or a special spot at each park called the Baby Care Center. The Baby Care Center is a bit misleading by it's title as it is a place for families to unwind, relax, and for our families, do a little type 1 diabetes maintenance. The Center will also store and hold your insulin in their refrigerator (bring the insulin in a bag that is clearly marked and labeled with a cell phone reminder set to pick up the insulin on your way back out of the park at the end of the day). Using these brochures, you can also familiarize yourself with the layout of the park. This is an important step that should not be missed. When you head over to the Guest Assistance Center to ask for your GAC, the cast member will ask you what you need in order to 'accommodate your child'. This is a critical point - YOU NEED TO KNOW WHAT YOU NEED IN ORDER TO GET IT. Whew! What a tongue twister! Our family typically asks for two things: 1.) Having access to a shady spot before getting on the rides as my girls tend to have erratic blood sugars when they overheat. 2.) Standing for long periods of time - over 30 minutes - tends to deplete their blood sugars and they dip dangerously low, into hypoglycemia. This means that we also need a place to sit... in the shade, preferably and my kids also need to have access to some fast acting glucose and/or water. If you have been reading our blog, you know that I always carry water too. Nothing wrecks havoc on blood sugar faster than being dehydrated from the hot Florida sun. Disney and diabetic ketoacidosis (DKA) do not mix! Unfortunately (and fortunately as well), Type 1 Diabetes does not neatly fit into the Walt Disney World standards of accommodations. When you refer to the brochure, unless your child has another ailment, most cast members will not know how to help you as Type 1 Diabetes doesn't fall directly under Mobility, Visual or Hearing Disabilities. So speak up, be nice and most likely, the cast member will give you what you NEED to help your child. This is what our family needed: A red and white GAC! Now with each trip, I learn something new. There is another card that floats around the park which is green and white - but looks just like this one. That is not the card for our families whom are living with Type 1 Diabetes. The green and white version is given only to handful of people today, usually those that are terminal and only will stay at the park for a handful of rides. I did have a cast member incorrectly direct me to the green and white card - he was also the ONLY crabby cast member that I met the entire day. The front of the GAC has a space that the cast member will either rubber stamp or hand write the accommodation direction. We have had them do both on the card and there really seems to be no right or wrong way to go about getting one filled out. Excuse the pencil but I wanted to cover up the girl's names. Next to that you will see how many people the GAC will assist. The maximum amount is six guests. If you read the back side of the card, it states clearly that the card can only be written for six people. Don't let this bother you. We had eight people in our group for each day at the parks and only a couple of cast members made a comment. We are a pretty easy going group though. If a cast member had to follow the rules, we would have understood too. My motto on vacation is 'RELAX' and that helps with the little bumps that you might come across once in a while. Once we had the GAC, an amazing thing happened for us this year (2013) and while I am going to tell you all about it, you should know that this IS NOT TYPICAL OR EXPECTED. The only thing that you should expect with the GAC is accommodations to get on the ride as stated on the card. I would have sat anywhere that I could have with the girls to keep them safe and enjoying Disney but in some instances, there was no way to accommodate us. There simply was NO PLACE TO SIT. By showing our card to each cast member as we entered the line, we were able to help our daughters stay in good blood sugar range. In many instances, especially at Epcot, there was absolutely no place to sit in the shade, so the cast members thought it was easier to just move us right onto the ride. At Magic Kingdom, several rides did the same as well. Many of the Magic Kingdom rides were indoors though, so we just went into the normal triage and got on the ride like everyone else. Sometimes, my girls did sit on the floor though. We always try to take advantage of the space that we are in to preserve blood sugars. One point to note: As long as our water bottle had a lid/cap, we were always allowed to take it onto the ride as needed. So even in the indoor areas, we practiced good hydration. We also took our GAC to Disney's Quest located in Downtown Disney. The lines were all indoor and very short, so the GAC was not needed at all. Depending on the time of year that you attend Disney, it might be like that at every park. So this is where I would say on whether or not you use it or need to use it, really depends on how full the park and/or ride is. In the case that you decide not to use the GAC, you might want to get the FastPass. My husband and our other traveling men love securing FastPasses and because the GAC made it so easy to ride everything, we didn't always need to get them. For those that do not know how the FastPass works, let me further explain. The FastPass is a FREE service that allows you to pick a ride and come back at a designated time on a ticket to enter a shorter entrance. The one in my hand is from Splash Mountain and it has a time to enter and a time to be able to get another FastPass ticket for a different ride. For most families, to maximize the number of rides and attractions, you will want to make sure you take advantage of this free service. And let the husbands and other men do this. I guarantee that they will LOVE figuring out this part of the adventure. Here is the backside of the FastPass. One neat thing about being at Magic Kingdom is that once in a while a cast member will gift you a free FastPass or maybe even a stranger who no longer wants to use them. Accept them all and think about paying it forward if you have extras leftover. One cute story I have is while walking from gift shop to gift shop with my sister-in-law, niece and daughter, a nice family stopped us and asked if we had been on Peter Pan's Magic Flight. We shook our heads 'no' and to our surprise and delight, they pulled out four fast passes for us to immediately use. I like to call that a magical moment! Feel free to ask any other questions that you might have about visiting Walt Disney World with Type 1 Diabetes. Our family loves it there and because it truly is the most happiest place on earth, I would LOVE to help you get there too! I have a student who has T1D and I'm about to take him on a field trip to Epcot so thank you for all this information that I can share with his family. That is great! What a cool teacher you are. I would have loved having a field trip to Epcot when I was in school:) I can't wait to hear how the trip goes! I'm a recently diagnosed diabetic and am going to Disney this summer! I have no idea how the rides will effect me. Do they tend to make blood sugar go higher if there is excitment/adrenaline? Hi Hannah! While I can't say how WDW will affect your blood sugars (one of those YMMV - Your Mileage May Vary), I can tell you that Disney is one of the most forgiving places for T1d care in the entire world. What we usually do is pack tons of snacks and test blood sugars often. The rides are pretty quick, so use the time in lines to check bg or munch a little snack. Plus, my number one word of advice is to be sure to keep hydrated. Since you are going in the summer, drink double the amount of water and pack some ketone strips or a ketone blood meter. Bring Crystal Light or Mio favors to add to the water and be sure to take advantage of all of the drinking fountains around the park. But most of all, have a fun time!!! Disney is one of the most magical places on earth!!!! The trip went fabulously! The students loved it and are wrapping up their projects on it. They had to create their own pavilions for countries not represented. My student's parents were unaware of the information you shared, but I don't think they used it. We lucked out: great weather and short lines. At least, they know for the next time they go. I appreciate you sharing your experiences with us. My daughter was newly diagnosed with T1 last August at the age of 17. We've learned so much over the past few months but are still adjusting to new things all the time. She has been on a pump since December but I'm concerned about the heat, long lines and her ability to keep up with her friends. She is still in a honeymoon phase and tends to drop with her blood sugars still. I am considering getting this GAC for her. It's so odd - I don't consider her disabled in many ways but as it relates to the heat and her blood sugar droping I realize things can head south fairly quick. Appreciate you sharing your experiences and specifying exactly what we should explain our needs as being. my son was just diagnosed at easter. we are going in aug. So , the sun and heat does bother me. to get a GAC card. do i need to have the doctor fax me a letter. we won't see her until we return. thank you!! Thanks for this series - read them all! I will be going to WDW in July with my 3 children(10, 8, & 2) and my elderly parents. My father has type 1 as well as other health issues and I've been really nervous about the trip. I know we won't be able to put in full days at the parks but I was still nervous about how my dad will manage the heat & sun while we are there. I'm hoping a Guest Assistance Card will make it a little easier. Thanks for sharing your experiences! I think it is terrible that you encourage and train people to get the guest assistance card. You and people like you are the reason they are revamping the program. My father has Type 1 Diabetes and my niece has had it since she was 2. Never in all the years that we have traveled to Disney has either of them asked for or needed a "front of the line" pass. What are doing is deplorable. You need to save the pass for families who actually need it. Disney is cracking down on people like you and I intend you report your website to them. K- I feel like you missed the point of the blog post and subsequent comments. The point was not to scam the system, but to teach parents to advocate for their children's needs. If your niece doesn't need accommodations and your father doesn't need accommodations, how wonderful! I'm so glad that their blood sugars are able to be managed without much ado. Not all people are as lucky as they are. I teach middle school. Students with long-term health concerns often have difficulty managing them in my part of the world because they go through growth spurts and getting the medications or lifestyle changes just right is a tricky balancing act. They want to be as "normal" as everyone else. While the GAC won't make them any more normal, it will allow those who are unable to have a normal experience to have an experience at the parks. Most people are capable of and do choose to use accommodations thoughtfully. My student was able to manage his blood sugars the day we went without it. Feel free to report this blog. There's nothing inappropriate here. I can assure you that Disney would rather issue GACs than to have to call ambulances. I already reported you to Disney and being a former employee, I would suspect that you will be getting a letter shortly asking you to take down the content. I, actually, have a child with Autism, so please do not tell me to "walk a mile in your shoes." I would exchange Diabetes for Autism any day. I suggest you "walk a mile in the shoes" of parents who watch you and your children clog up the lines and make children who really have a legitimate reason wait a little longer. Such a sad and sick comment. One can only imagine the deep pain inside your mind to think that switching diseases would make you better off. You need help and I hope you find it. Disneyworld isn't going to be your answer either... God bless your family. I hope they can help you find peace. 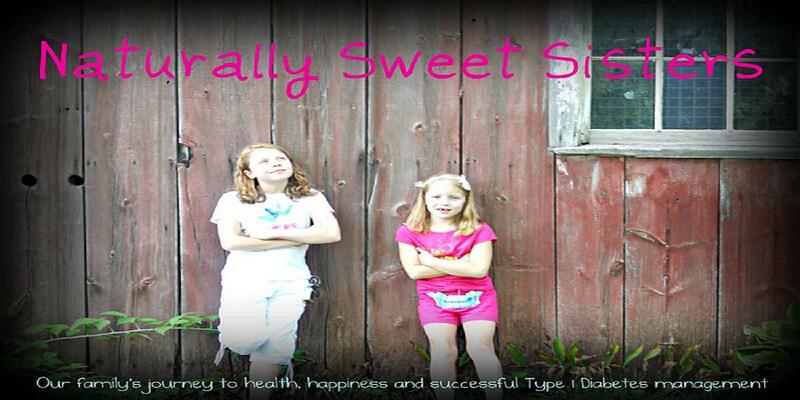 While I could get very nasty here, I will try to keep calm and keep it clean forhe sake of two sweet sisters whom I am sure idolize their mothers patience and tenacity blogging about ways to make life with type 1 diabetes more manageable. Who are you(k) to say that my daughters condition is not serious. Every night it crosses our mind that there is always a chance that our children may nor wake up in the morning. Can you tell me that you would trade for that? Every illness or disease has it's own special circumstances, as I'm sure that you have good and bad days with your son so do we with our kids. I would recommend sitting down with your sister and finding out her response to you when you tell her that her daughters illness means nothing. Keep up the good work NSS!! I agree with Dana- grass seems to always be greener on the other side. But my daughter has T1D and everyday when she is away from me I worry that her blood sugar will drop too low and she will have a seizure and go into a diabetic comma and die or her blood sugar will be too high, have large ketones in her blood and go into DKA. Every disease/condition that our children have is serious, each have their own worries and concerns. I think the whole point of the blog is to teach families what is available in case it is needed for their child. It is purely informational and I appreciate NSS putting the info out there for families that may need it. No one is scamming the system or encouraging anyone to take advantage. I also think that Disney would appreciate that this mom is helping them get the word out about their incredible program for those families that need it so Thank you NSS for informing us! Keep up the good work! My husband and I are planning on taking our four kids in February of 2014, do you know if the card is also accommodating for myself as I am the one with Type 1 Diabetes? My husband and I are planning a trip to WDW in February 2014 with our four kids... Do you know if this card would accommodate our family if the T1D is me, an adult? Or could you tell me how to find out please! We are planning a trip to the Magic Kingdom later on this summer. 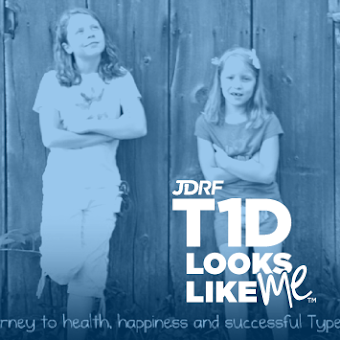 Our 9 year old is a Type 1 and has an insulin pump. I'm trying to figure out the best way to deal w/ the pump and riding rides. Can she leave it on? If she disconnects for a particular ride, what do we do with the pump? Would welcome any suggestions you might have! We just returned from WDW recently. My daughter is 17 and did fine keeping her pump on her. Does your child have a clip to make sure the pump is securely fastened and pockets to put it? I would think either that or some type of sling they could wear under a shirt would work fine. There were no issues with us when riding any of the rides. For 99% of the rides, we do leave insulin pumps on while at WDW. The only one that is coming to mind where we disconnect the insulin pump is the Hollywood Tower of Terror ride. It is free falling and I have always been concerned with the mechanics of the insulin pump and accidently dosing. 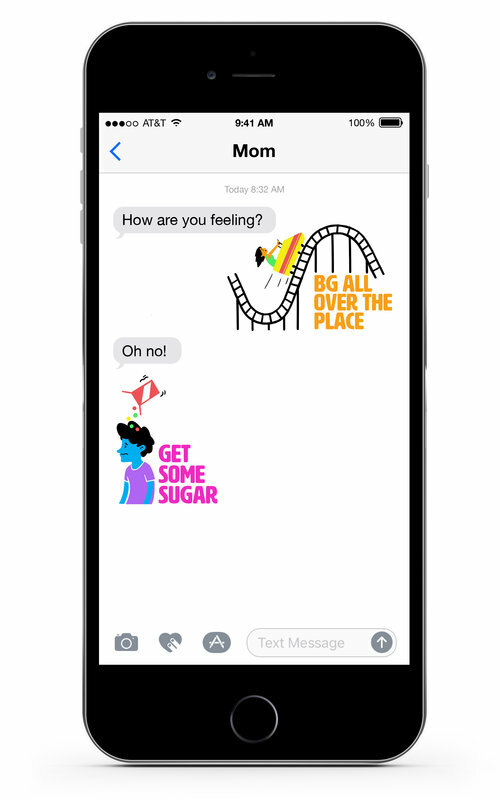 At other amusement parks like Cedar Point, Kings Island, etc., if the kids are on rides that a free-falling, inverse or even some roller-coasters, I disconnect. Not just to avoid pump malfunctions, but the fear the pump falling off and land on the ground, with other's hats, sunglasses :) It happens and is easy to avoid by just unclipping. Or maybe at those types of action parks, you might want to go on injections for the day. So many ways to handle t1d. Emily, the GAC is written for the person with type 1 diabetes. Which means that accommodations would be for you. However, Walt Disney World desires to keep parties in tact so that you may be accompanied with guests up to 6 people total. Be sure to bring a doctor's note to help detail what you will need to be safe at the park and also, bring lots of snacks, low glucose and high glucose foods, water and anything else to feel comfortable. I am always happy to see parents living with T1d because someday, I hope that is one of my children. Have a great time!!! I just came across this blog today as I heard WDW was revamping the guest assistance program. Too bad people like "K" think that one special need is more important than another or not at all. I have a child with ASPERGERS, ADHD and TYPE 1 DIABETES and I am a TYpe 1 diabetic as well and have multiple complications. I can tell you that while the Aspergers and ADHD can be frustrating and difficult to deal and impacts your life on a daily (if not hourly) basis, the Type 1 diabetes is a FULL TIME job and gives me more anxiety and stress since it can be life threatening and requires constant medical attention and is a 24 hours, 365 days a year job. I cannot tell you how many nights especially while on vacation I ended up having to wake several times per night to check my child's blood sugar that we could not stabilize because he was so active all day at a theme park or water park. IMAGINE HAVING TO DEAL WITH THE TYPE 1 DIABETES WITH A CHILD THAT IS TIRED AND HAS ASPERGERS AND ADHD. So I hope parent's who may think like "K" get a life and stop minding other people's business. You would think a parent who has a child with special needs would be more compassionate and understanding and not so cynical. I hope her child never develops another medical or other condition on top of the autism. You should NEVER know what it feels like to worry about your child every second of the day, when they go to sleep hoping they wake up, when they cry when you have to give them 4 daily injections, 10+ finger pricks, multiple blood test annually, when you have to deny them treats like their friends can have, when they are hungry and you have to say not to anything with carbs which is all they want to eat, when your child gets sick and ends up in the hospital because they have ketones or you cannot stabilize their blood sugar, when you have to worry they will one day develop complications such as myself who has Gastroparesis (Paralysis of the stomach), hardening of the arteries, neuropathy, or any other complications like blindness or kidney disease. So guess what, I would GLADLY give up the guest assistance pass in exchange for a healthy child. "K" should redirect her anger at the appropriate individuals who scam the system and not parents that have enough to deal with with a Type 1 diabetic child!!! We are just back from two days in Disney and two days in Universal Studios. We did get the new Disability Access Service Card for my 13 year old (aspergers, can't really handle crowds) but did not get one for my 12 year old T1D. Guest Services did seem resistant to giving out a DASC. That said we used the DASC in Hollywood Studios but did not need it in the Magic Kingdom. The FastPass system is much better in the Magic Kingdom. Note that for Universal we paid for the Express Pass and found it much more usefull. We had no need for any other accomodation. Note that we really stayed on top of the hydration. with careful planning we went 4 days in the parks with no blood glucose problems and no meltdowns. Also note that info on Disney and Universals disability accomodations is freely available on their websites. It is a good idea to do a little light reading. Walt Disney World offers several Guides for Guests with Disabilities. You can pick these up at any Guest Assistance Center, sometimes known as Guest Services in the Parks or in the City Hall located at the Magic Kingdom.